If you are moving an office or a home in South Hornchurch, RM13 whether that is a local move or moving in from afar, then you have come to the right place. Moving Service is the removal expert company in the RM13 district and we have been moving people’s belongings from their home or offices for several years. Our locally based staff are expert movers around South Hornchurch with vast amount of experience between them. They also attend regular training to keep up to date with new techniques in the industry that will help make the removal process even more efficient, quick and safe. Moving is a stressful period and can be physically demanding trying to carry items and load them into a removal van. That is why our removal services provide everything you need to make the move calm and smooth for you. Avoid the stress and potential physical damage of lifting heavy items by letting our professional staff take over and do the job for you. Simply call us today on 020 8746 4402 for a free consultation. After we have discovered what you need to be moved, we create a removal action plan that is designed for maximum efficiency. Once all the key points are covered, we get on with the job with limited input from you so you can get on with other things whilst knowing that we are looking after your entire house or office move. Built on open farmland and a former RAF Hornchurch site, the area had a relatively recent development, especially when compared to the older suburbs in Havering, the borough where the area is located. It is a suburban development 13.6 miles east from Charing Cross and occupies the RM13 postcode district. At the southern side of the area lies a large and highly dense housing estate that was built by the local Urban District Council several years ago. Several bus routes make the area very accessible for residents and visitors, and compensate for the lack of tube stations and railways in the local district. 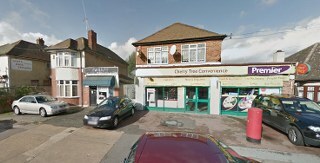 The nearest Underground stations are Elm Park Hornchurch, and Upminister Bridge tube station. The area is becoming increasingly popular with couples, families and retired persons, making it a place rich in diversity and demographics. The local population continues to expand at a steady rate, highlighting the popularity of the area. Local amenities continue to expand too to serve the increasing population. There are a wide range of restaurants, pubs and grocery stores in the area, as well as clothes stores and other specialised stores, in addition to local schools for varying ages. At Moving Service we cover every part of the removal process in South Hornchurch, RM13. 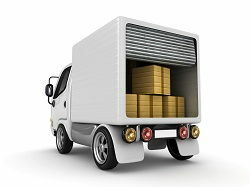 We start at the packing, which covers any household items, valuables, office equipment or heavy goods. Then we carry all the items out and load them into the van so you don’t risk any breakages or damages to them, as well as avoiding physical damage from carrying heavy things yourself. Then, in our pristine removal vans in RM13 region, we carry your items to their destination where we unload and leave them in the rooms or area that you want. Our focus is excellent customer service and by giving you the full removal solution, we really can deliver and offer a fantastic performance. To know more about how our services can help you, call us today on 020 8746 4402. One of our team will be there to assist you and give you all the information that you need to help you have an enjoyable house or office relocation.